Magne "Meneth" Skjæran is the creator of the Paradox Wikis. Paradox Interactive in 2014 bought the wikis from him and hired him to continue administrating them. 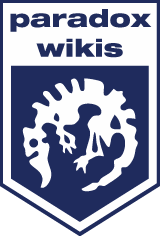 As of 2019, Magne no longer administrates the Paradox Wikis, focusing instead on his role as a programmer at Paradox Development Studio. Magne has worked on Crusader Kings II, and is a former CK2 modder. He's the creator of Project Balance and co-founder of the Historical Immersion Project. He's contributed to various other projects. This page was last edited on 24 January 2019, at 21:42.